Russia’s house prices rose slightly by 0.18% during the year to Q3 2018, a sharp improvement from last year’s 6.7% drop and the first y-o-y increase since Q4 2012. During the latest quarter, nationwide house prices fell by 0.08%. Moscow’s prices fell by 3.74% y-o-y in Q3 2018 while they increased 4.41% in St. Petersburg. Nationwide house prices plunged 47% (inflation-adjusted) in the past seven years. Analysis: Russia's economy is now improving significantly. Russia’s economy grew by 1.5% in 2017, after contractions of 0.2% in 2016 and 2.5% in 2015, due to the fall in energy prices and the impact of US and EU sanctions triggered by Moscow’s annexation of Crimea, according to the Federal State Statistics Service. Then in Q3 2018, the economy expanded by 1.3% y-o-y, from annual growth rates of 1.9% in Q2 2018, 1.3% in Q1 2018, and 0.9% in Q4 2017 – its eighth consecutive quarter of growth. Inflation in Russia has stabilized, thanks to prudent monetary policies. In October 2018, inflation rose to 3.5%, the highest level since July 2017 but still below the central bank’s target of 4%. Annual headline inflation slowed to 2.5% in 2017, sharply down from 5.4% in 2016 and the lowest reading in the post-USSR era, according to the Federal State Statistics Service. The ruble has lost almost 61% of its value in just three years, from an exchange rate of RUB30.231= US$1 in January 2013, to RUB77.175 in January 2016. Then during the first eleven months of 2018, the ruble lost almost 15% of its value again to RUB66.456 = USD1 in November 2018, partially offsetting the 31.5% gain seen in 2016 and 2017. Moscow apartment costs are high, at around €11,866 per sq. m.
Recent news. The Central Bank of Russia (CBR) held its key interest rate unchanged at 7.5% in October 2018, following a 25 basis points rate hike in the previous month, amidst gradually increasing inflationary pressures. The key rate peaked at 17% in December 2014. 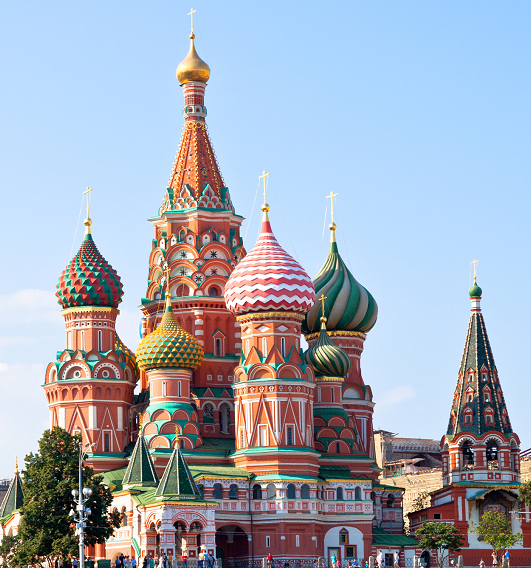 The Russian economy is projected to expand by 1.7% this year, according to the IMF.